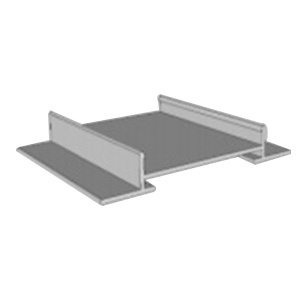 EcolibriumSolar EcoTray™ Wire management base features RPVC polymer construction. It effectively organizes, secures and protects PV wires/cables. This versatile, UV-resistant cap measures 6-Inch x 7-Inch x 2.5-Inch. It supports maximum wire size of 6-AWG. This base is perfect for use with jumpers, home run, equipment-grounding conductor cables and flat roof-ballasts. Base is ETL listed.